How much food Arthur eats will affect his weight. Not only does this have visible changes in his appearance, his weight will have bonus effects. You can check these effects by accessing Main Menu > Player > Arthur. An overweight Arthur will lower his stamina and tire him quickly but you’ll get more damage resistance while being underweight gives him stamina bonus at a cost of reduced damage resistance. When he has Perfect Weight, he’ll get a good bonus to all his cores. 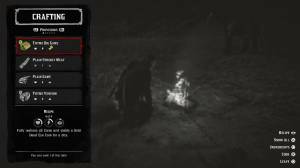 Image credit: https://www.reddit.com/r/reddeadredemption/comments/9sjny3/average_weight_vs_max_weight/ You can manage his weight by reducing or increasing his food intake, that includes the canned goods or snacks and cooked meat from hunted animals. It’s also important to sleep in order to update his weight. Damage resistance means a lot especially if you want to tank damage and increase your survivability so a lot of players do consider having a Fat Arthur. 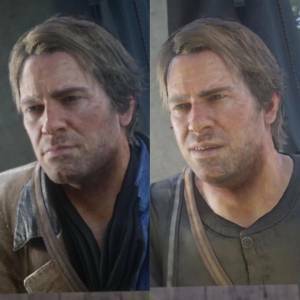 However, if you want Arthur to be able to handle all situations without any compromise, you can settle with at least Average weight or better yet, perfect weight as stated above.